Reading, writing, and arithmetic — and changing a tire, paying taxes, and banking. “Adulting” education is a growing trend across the U.S. These classes, like the ones offered during the Adulting Conference at Bullitt Central High School in Shepherdsville, Kentucky, last year, teach students the everyday skills they’ll need as adults. “I think that the idea occurred to me originally, I saw a Facebook post that parents passed around saying they needed a class in high school on taxes and cooking,” Christy Hardin, director of the BCHS Family Resource & Youth Services Center, told WAVE 3 news. Students learned how to pay their bills, cook for themselves, change tires, and interact with officers during traffic stops. Perhaps, thanks to the growing number of millennials living at home for longer, kids are not getting enough of the life experiences that teach these skills. According to the U.S. Census Bureau, in 2015, 34 percent of Americans between 18 and 34 still lived with a parent compared to the 26 percent who lived at home in 2005. How do you think our New Orleans teenagers will fare as adults? 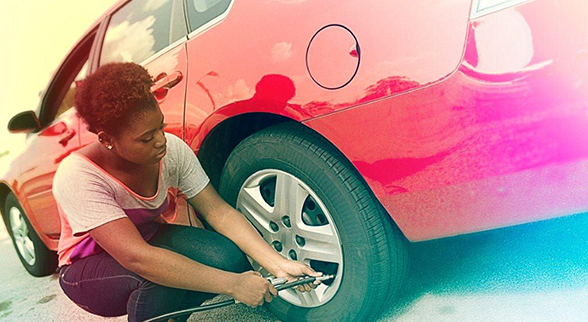 Can your kids change a tire, know what credit is, or cook themselves dinner? Have you heard of any adulting classes in New Orleans?